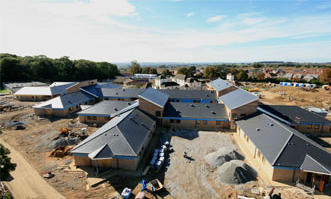 The roofing construction was made up of over 12,500m2 of Tactray and Marley Eternit slates. The work included the supply and installation of all the rainwater goods including Bullnose finish in the secure area. The project was made up of a number of phases over the course of 2 years.